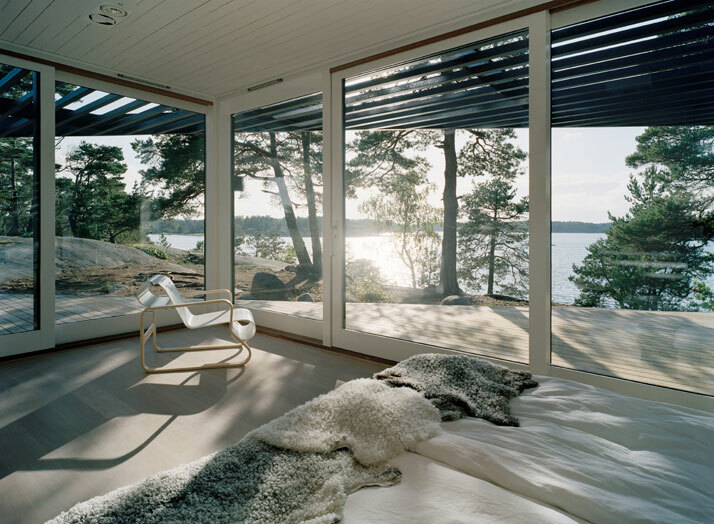 When you think about the ideal summer residence, it’s all about the location, angles and outward looking seaside views. 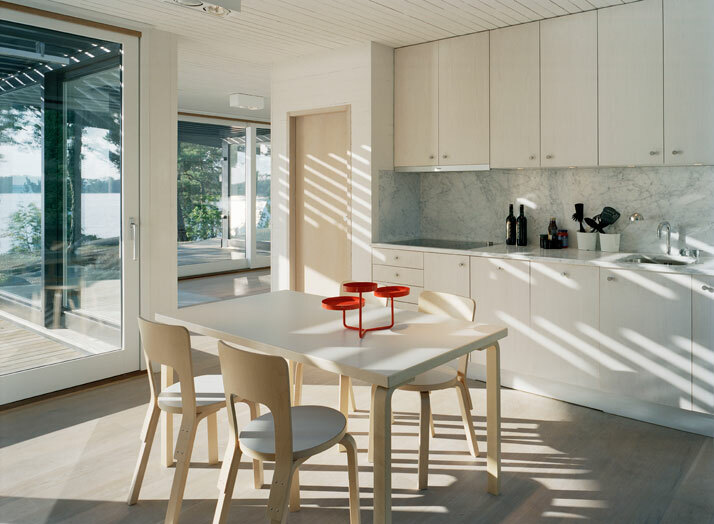 These features are all cross checked in the very dynamic design of Archipelago House in Stockholm, Sweden; a project that exemplifies the essence of how we wish to experience outdoor life. 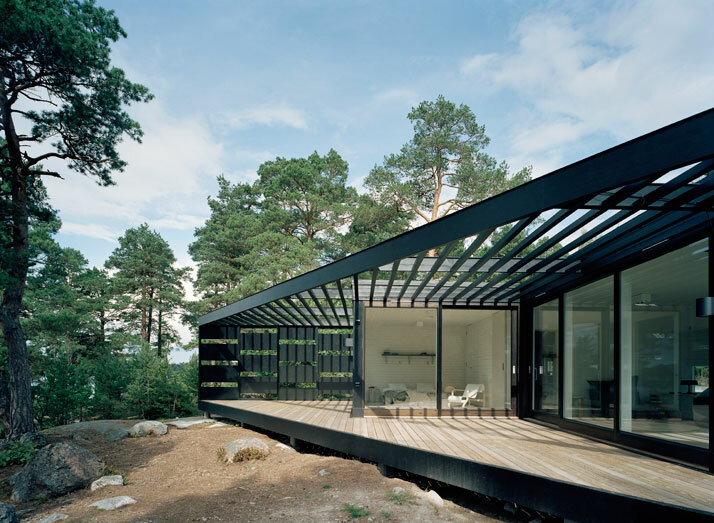 Designed by the architectural office Tham & Videgård Arkitekter, chief architects Bolle Tham & Martin Videgård have created an ideal structure for a lifestyle that comes with the residence. Upon first glance of it, it’s not hard to plot your whole life around it. 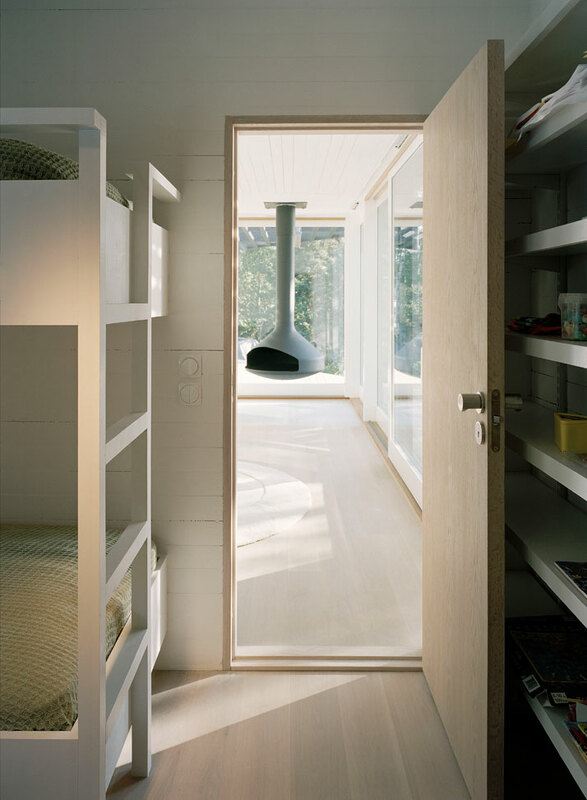 Located o a site of 3,250sqm site, this 130sqm house was conceived as a light-weight construction in wood and glass. With a very dramatic angle and large glazed openings there is something wonderfully surprising about the architecture within the site. Walking carefree along the landscape and suddenly looking up at this creation, there is an element quality of a great surprise and a feeling that you have discovered something of great importance. 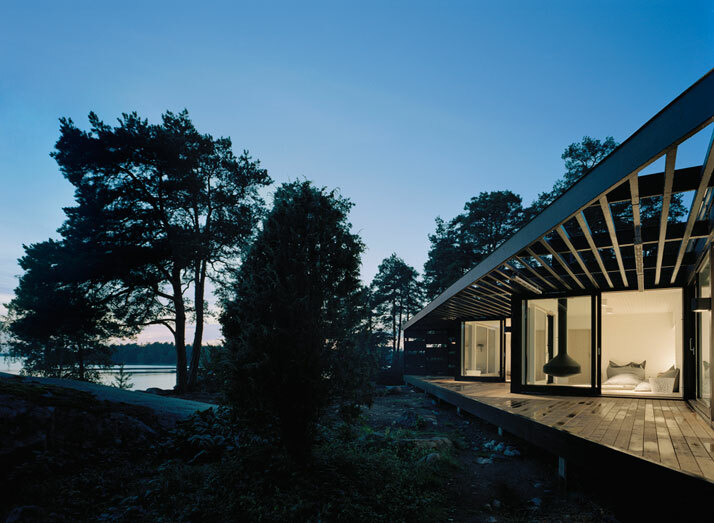 The horizontal character of the black-stained exterior relates to the verticality of the island’s tall pines, and mirrors the views of the Baltic Sea. The geometry of the plan is generated by the specifics of the site. 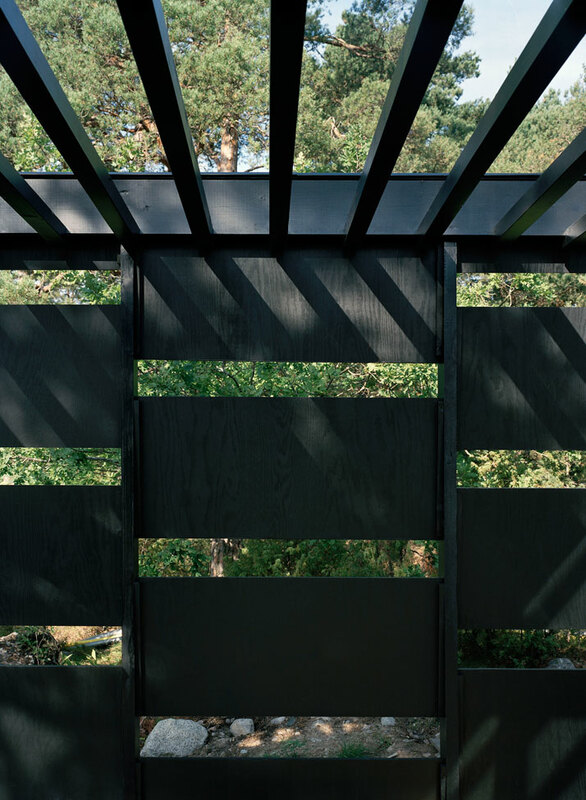 The large-scale single panel façade consists of a zigzag framework of core-sawn pine in decreasing lengths and plywood boards, treated with a protective black glaze which protects the structure from the island’s strong winds. 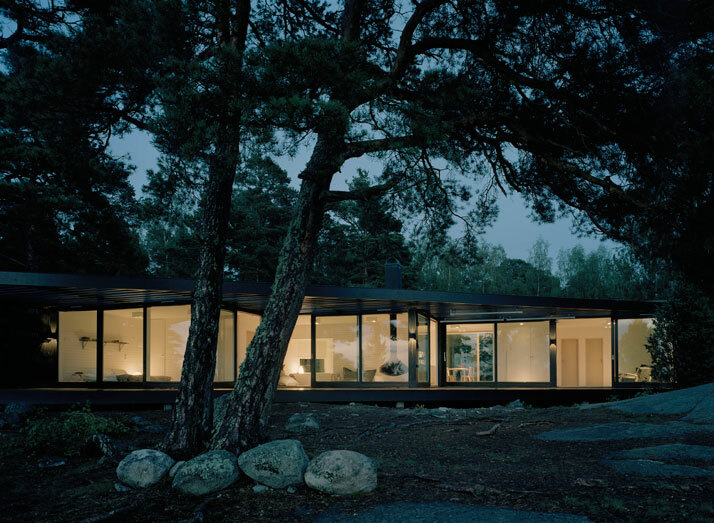 As a result of the large glass panes and the prevailing light conditions, reflections and mirror-like effects, a quality is created where nature, space and horizon all interact together. 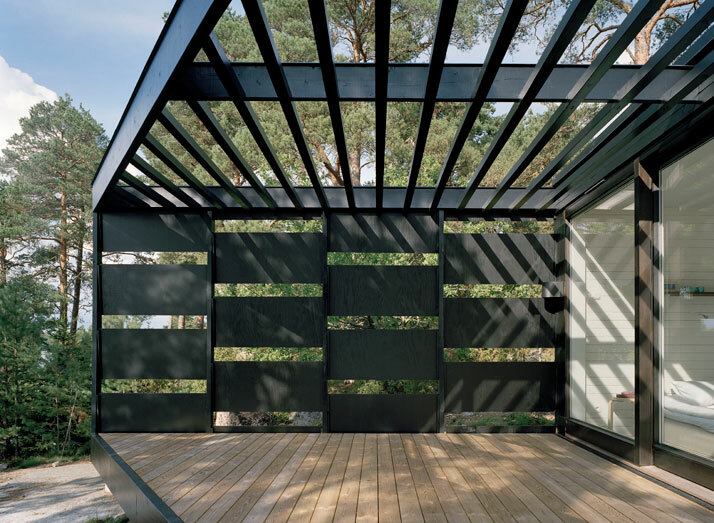 A horizontal screen diffuses sunlight and provides a variety of shadows, as well as giving the impression of a continuous space, blurring the boundary between inside and out. 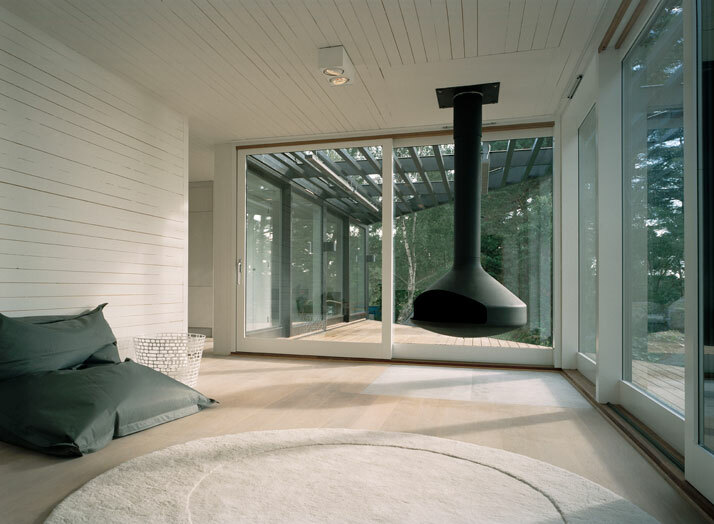 Stepping outside on the terrace to the great outdoors the language between the outside and inside couldn’t be clearer. Inside, the reference to a beach house summer barefoot retreat is cleverly presented through the finishes and pure palette. 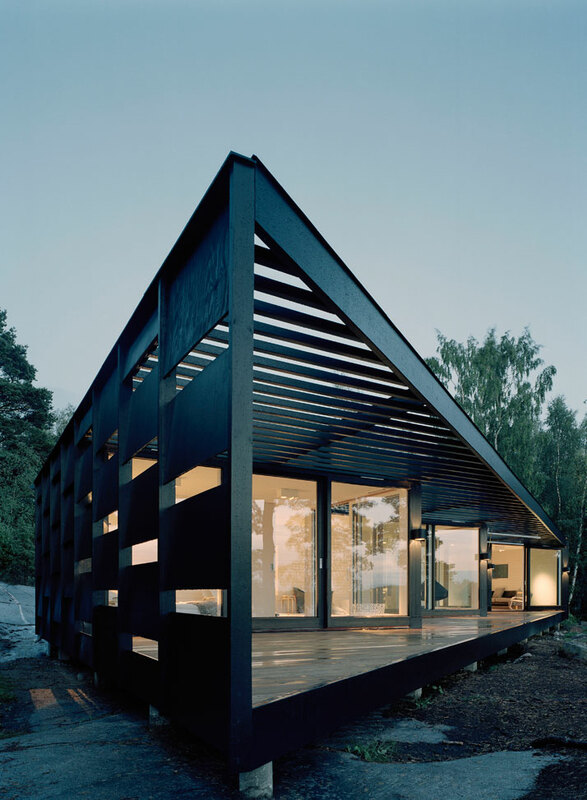 Looking at this structure from the outside you can easily place it in the mountains, on the outskirts of a forest or even in the suburbs (rocking the waters). However the interiors have been designed to remind you only of the summer delights. 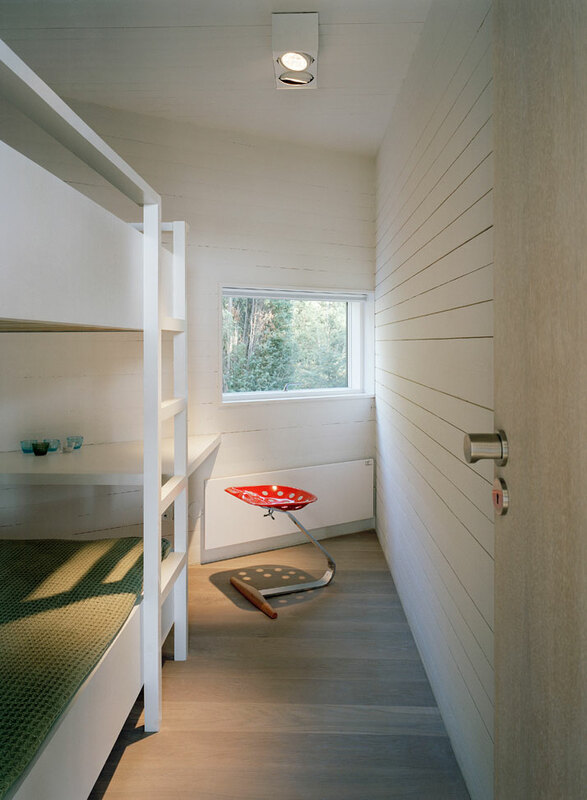 With white board paneling fitted throughout the walls and ceilings in tongue and groove connections, it is the only presence necessary to link you to the surroundings. The large open spaces are present both in the front social areas and the rear private chambers. With the master bedroom’s nostalgic and romantic views, one cannot help but create the perfect story around this land. We know of only one story that sums up the exceptional vibe of this house and that is a modernized version of ‘Golden Pond’. Scene ‘one’- Jane Fonda in jean shorts and bikini top sliding the white framed balcony doors to the side and running towards the Sea. Scene ‘two’ - Henry Fonda walking inside carrying wood while Katherine Hepburn prepares the ceiling hung fireplace for the sweet chill of the evening air. 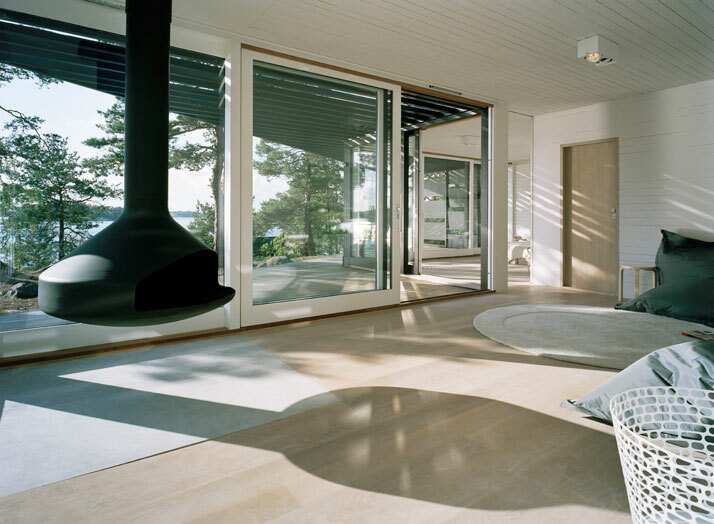 This residence is poetry in the making. We could write up endless stories about it ranging from ‘Basic Instinct’ to’ House on the Prairie’. 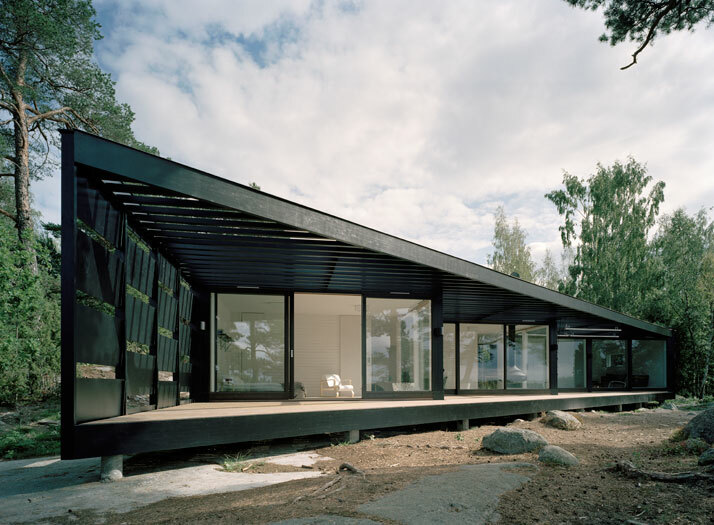 A pure example of when architecture succeeds – it goes all the way.